Beaulieu Fibres International (B.F.I. ), the leading European polypropylene staple fibre supplier, reveals the benefits of its high-performance fibres in maximizing the output and cost-efficiency of state-of-the-art nonwoven equipment at ITMA 2015 (Hall 8.1 #H118). 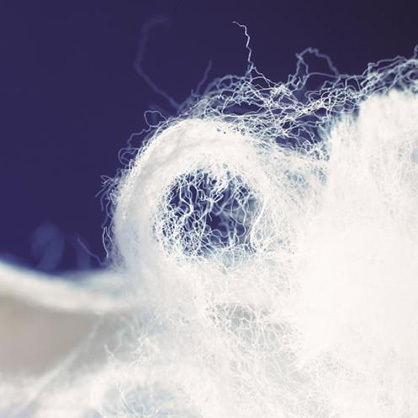 B.F.I.’s industry-reference polyolefin (PO) fibres are valued in diverse market segments for ensuring top performance and more sustainable processing of lightweight nonwovens and composites. The company’s fibre quality consistency is a key feature for stable and continuous high speed carding processes. This supports manufacturers in achieving the desired combination of equipment and end product performance. HT8 fibres for top performance with latest technology in carded/needlepunch equipment. B.F.I.’s HT8 fibres offer unique high tenacity capabilities of minimum 54cN/tex without compromising on elongation (minimum 70%) for lightweight geotextiles. These 4.4-6.7 dtex super tenacity fibres provide opportunities to reduce system cost by allowing customers to maximize machine output and ensure desired performance with weight savings of 10-15% compared to standard geotextile fibres. Customised low melt thermoplastic PO fibres for automotive composite market using airlay and carded/needlepunch technology. B.F.I.’s fibre families for each composite blend – PET, Natural and Mineral Fibre - are individually customised and designed for processing on the specific equipment types for each processing technology, to support optimal production and yields. Each offers dimensional stability and excellent elongation capacity, not just during nonwoven production but also during further processing steps. Jefrem Jennard, market and product development manager at Beaulieu Fibres International, comments: “High-quality fibres play a crucial role in delivering the specifications promised by machinery manufacturers – an aspect often under-estimated when purchasing state-of-the-art equipment. B.F.I.’s industry-reference fibre innovations bring a different level of performance to these machines that can contribute to greater sustainability and the ability to maximize return on Investment. Tailor-made hygiene fibres for improved softness and coverage. B.F.I. features fibres with a trilobal cross-section to address the requirements of good coverage in lightweight nonwovens and BICO-fibres made with Polyethylene (PE) in the sheath and Polypropylene (PP) in the core. The BICO-fibres are designed to improve the softness and bonding in nonwovens made for the hygiene market, but can be also used in any other application where a good bonding strength is required. Beaulieu Fibres International’s polyolefin fibres ensure top performance and more sustainable processing of lightweight nonwovens and composites. Visit Beaulieu Fibres International at Hall 8.1 Stand H118, ITMA 2015, Milan, 12-19 November 2015.